Spacious 2 bedroom 2.5 bath front end unit centrally located with a great townhome feel. Turnkey condition. Private 2 car garage that provides additional access to unit. This townhome lives great. Features a walk in closet, plenty of storage, closet space, and shelving. Light and bright throughout. Living area has an open floor plan with a fireplace, with laundry. Huge master suite can be transformed into third bedroom. The 5 unit complex has gated parking, an outdoor deck, and a rose garden. Soak up some sun or walk the dog in the garden. This unit also can be used for a rental income property immediately. 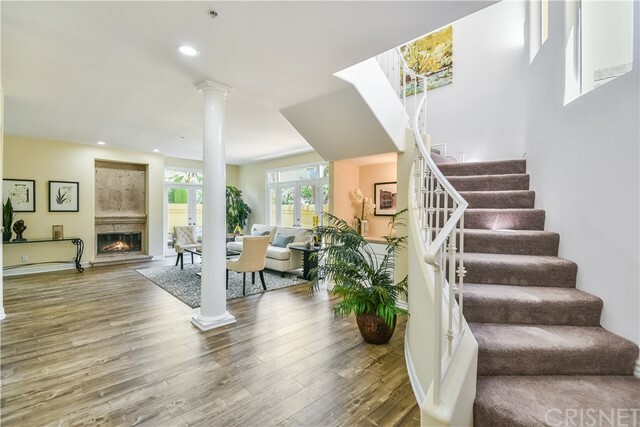 Based on information from California Regional Multiple Listing Service, Inc. as of 4/4/2019 12:46:17 PM PDT and /or other sources. All data, including all measurements and calculations of area, is obtained from various sources and has not been, and will not be, verified by broker or MLS. All information should be independently reviewed and verified for accuracy. Properties may or may not be listed by the office/agent presenting the information.